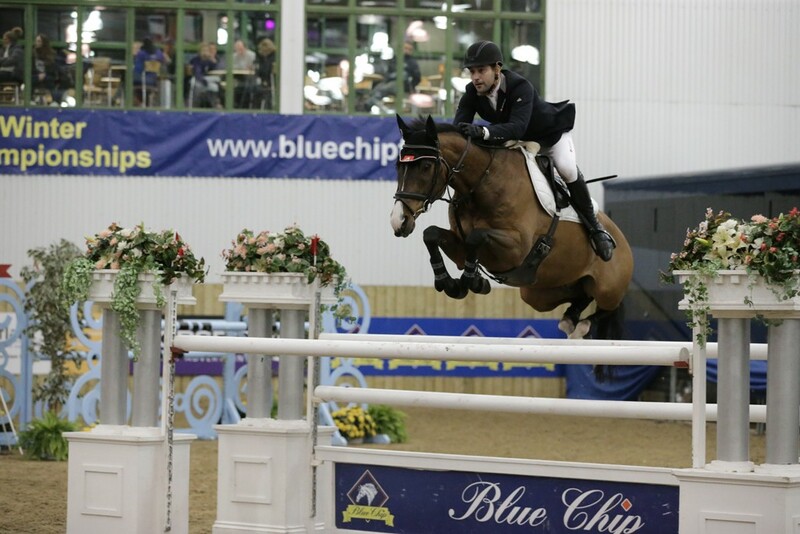 Hartpury Arena in Gloucestershire saw the 25th Blue Chip Winter Showjumping Championships which were hailed as another huge success. Over the week 45 competitions and 13 championships were run, with 3200 rounds being jumped over courses expertly designed by Kelvin Bywater and Bob Ellis. The highlight to the event was the Gala night on Friday which saw the grandstand and hospitality balcony full to capacity. The evening was kicked off with a fun ‘junior challenge’ class which was followed by a masterclass by Tina and Graham Fletcher. The climax of the evening was the Grand Prix which saw 40 competitors battle it out in a hotly contested class which produced 12 clear rounds that went forward to a nail biting jump-off. Jay Halim was the eventual victor and also for the first time in the show’s history managed to bag the £1,000 championship bonus which was awarded to a rider that had been placed in the top 3 in the Pro Open Challenge that then went on to win the Grand Prix.